A minimalistic art piece rather than a colouring book in my opinion, Empty Bedrooms is strangely absorbing despite its lack of detail at first glance. There’s a kind of dark humour about it, as well as sadness and a feeling of desertion. It’s certainly a talking point, that’s for sure! 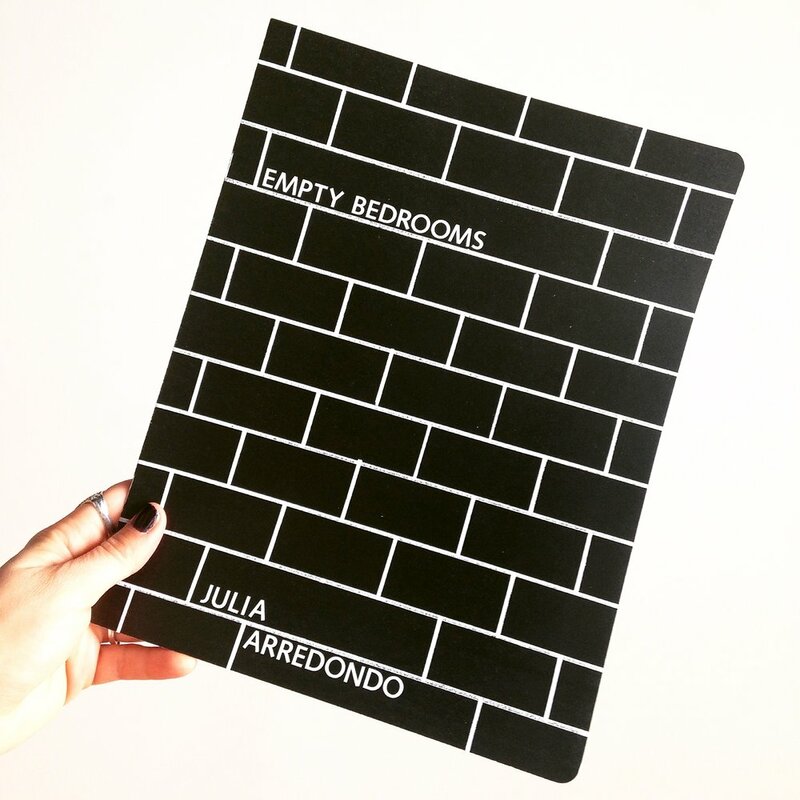 "Empty Bedrooms" is a large-format art zine by Julia Arredondo with hand-drawn depictions of personally-owned rental bedroom spaces from 2005 until 2012. 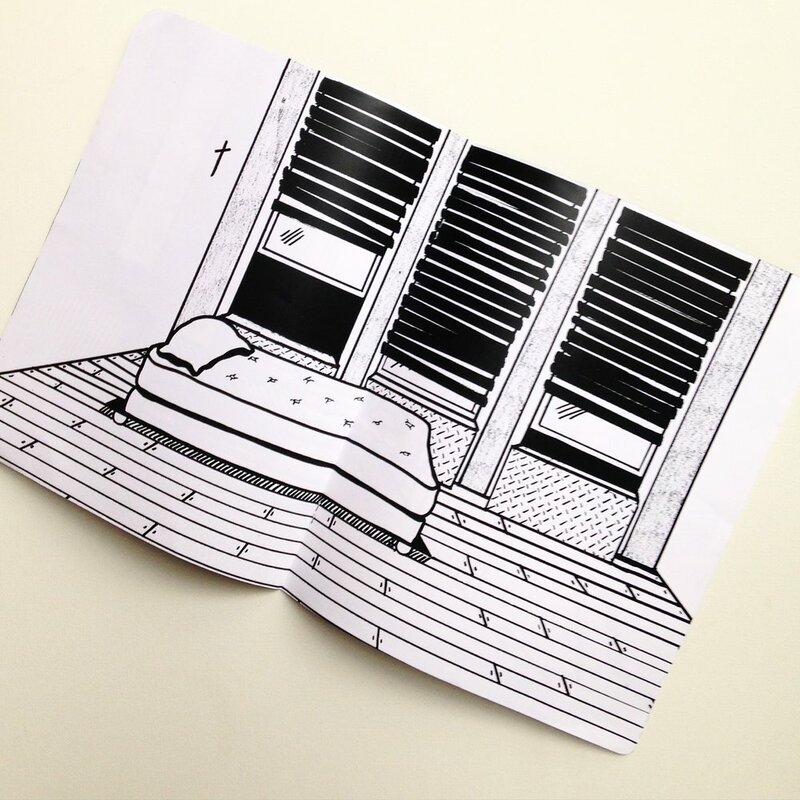 The zine is 11" X 8.5" with rounded corners, and shows five bedroom scenes. "Empty Bedrooms" is a contemplative piece about privacy, relationships, and the possession of few commodities. The zine explores the calm of coming home to an empty space, and what it means to own/inhabit space during time of uncertainty as a renter. No text. Five spreads. Saddle-stitched with staples. Produced in-residency at the Jaffe Center for Book Arts in Boca Raton, FL.